The setting for the enclave is a mountainous ridge on the Central Coast that descends to the ocean offering nearly 360 degree views. 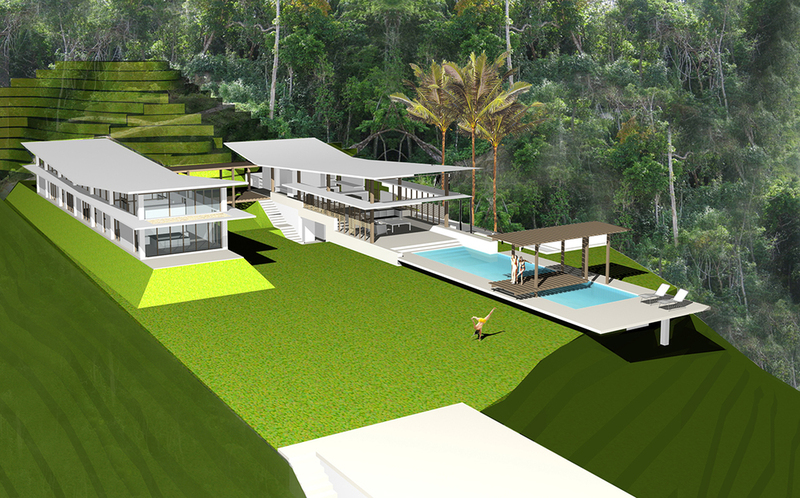 The privileged location allows the house to have two major faces: one towards the sea and one towards the mountains. 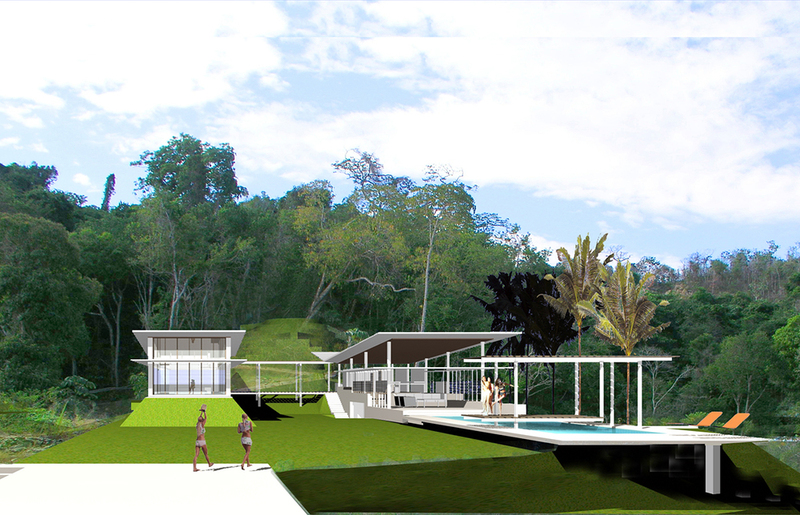 The solution adopted in recognition of the location allows the mountainous terrain to pass freely between the two primary masses developed from north to south, and creates a large open area that extends to the spacious garden facing the open sea. The two major parts are distinct in nature. 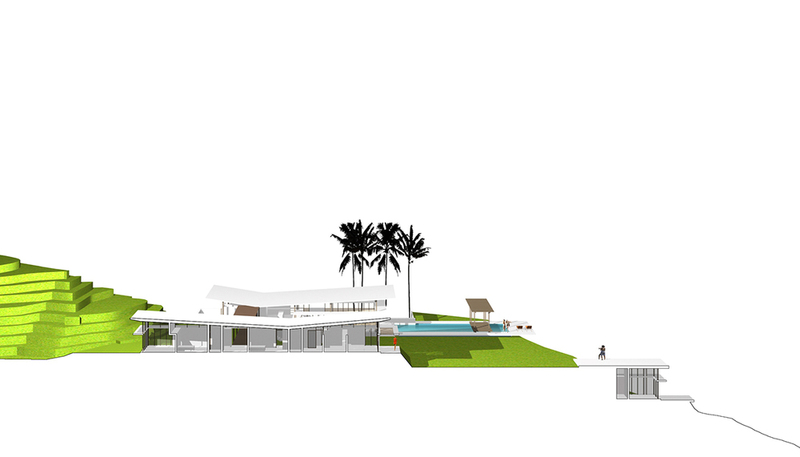 The part that includes the social areas is more open and seeks to merge with the garden, and beyond that, with the ocean. The other part, which includes the bedrooms, relates more closely to the mountain although it also, like the rest of the house, enjoys the location’s stunning views.